For those wanting to make 800-1000 horsepower, we have this turbo kit that uses Garrett GT series turbos and Tial 44mm external wastegates. We have included the basic price for the upgrade here. Below is a selection of modifications you can choose from to build your vehicle with some or all of the performance parts you need to complete your 996 Turbo. 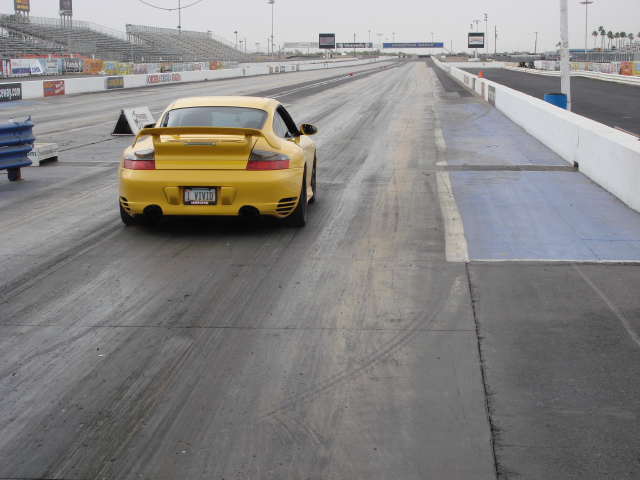 The upgrade kit for the Porsche 996 Turbo is a combination of proper fueling, air flow, and ECU Tuning. 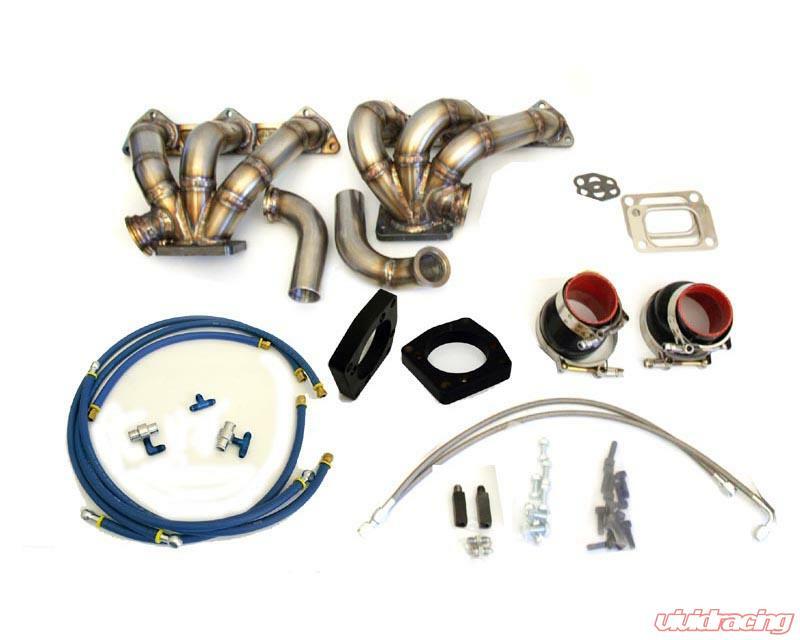 The GT3076rs turbochargers or the GT2860rs turbos can be used with this kit. To reach these power levels, it does require a custom fuel system, larger throttle body and T plenum, custom Y Pipe, intake to turbo inlet system, and more. All of the parts listed in the below options are required to achieve this power level. 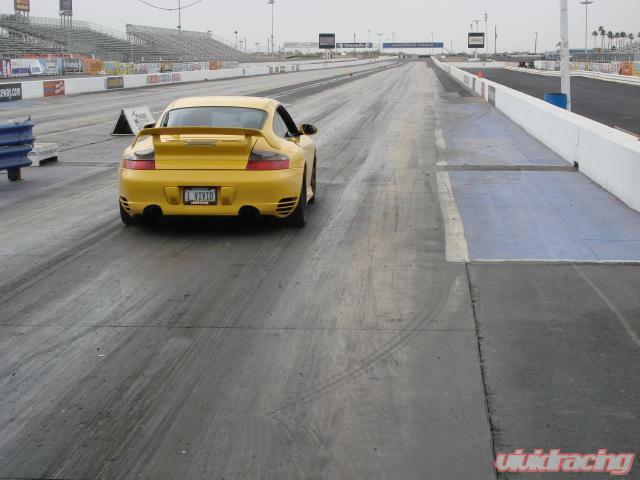 Other brands maybe considered for substitution, however we recommend discussing this with our Porsche specialists. What makes this turbo kit superior to the competition is based on many factors. Cutting edge ECU tuning, modular design for upgrading power, high quality and well engineered parts, proper performance output tests in realistic conditions, and reliable street and track performance for vehicle longevity. Agency Power analyzed several companies turbo upgrade products. In this analysis we looked at package contents, product quality, performance gains, and pricing. To provide the ultimate Porsche 996TT turbo kit, we developed this package for a true bolt on performance gain with potential to increase based on customer requirements. The turbo kit is designed to use Garrett GTseries ball bearing turbos. The turbos can be built with a .63a/r for faster spool or a .82a/r for more top end power. 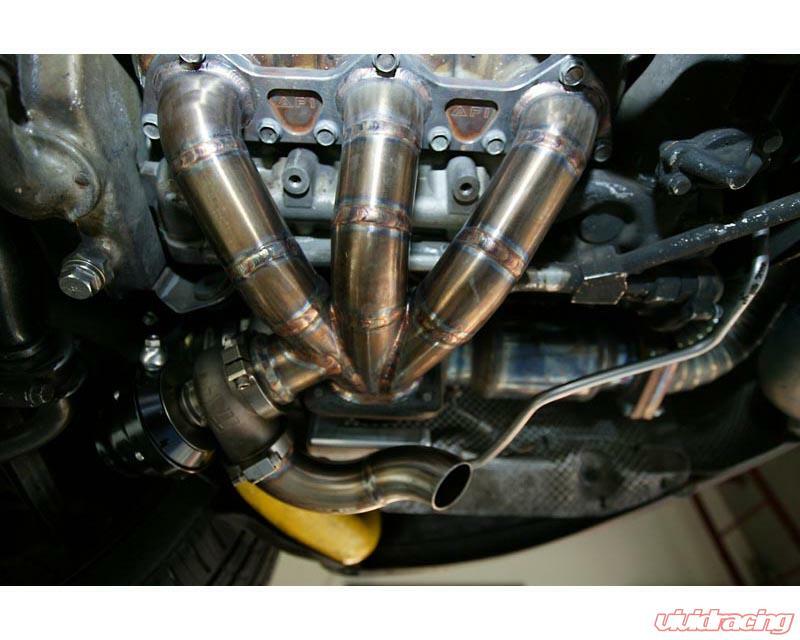 To increase torque, we developed the use of an external wastegate system. The Tial 44mm wastegates use band clamps with an external dump bypassing the stock exhaust system. Using an 1.0bar spring, the wastegates are very efficient for our use. The headers feature thick flanges to prevent warping. Using steel for the flanges prevents cracking due to the stainless material expanding under extreme temperatures. 10 gauge 304 stainless steel is used to build the header tubing. Low angle true merge collectors are put in place for proper exhaust flow producing optimal power gains. The collectors are also back purged when welded to finish off the high quality component. The headers are designed to bolt up to the stock block and mate with a Garrett 4bolt T3 flange. 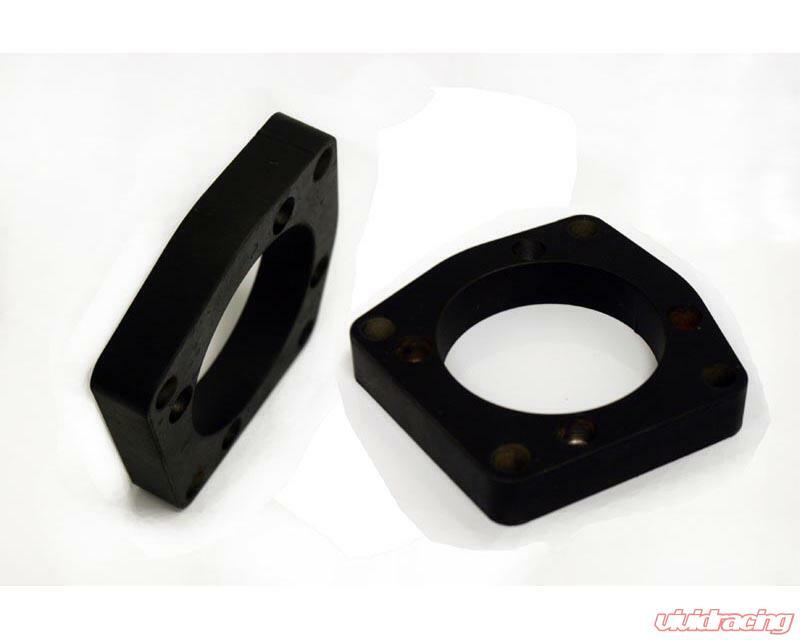 For customers to retain their OEM replacement exhaust system, Agency Power uses an exhaust flange machined from 1018 steel which is then plated. The flange allows you to directly bolt on your exhaust system with no affects to the factory placement. 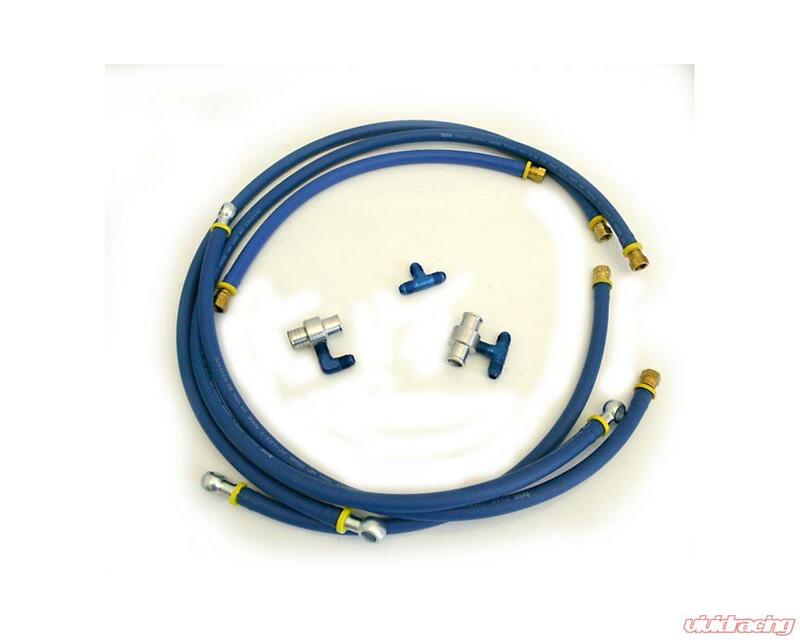 The kit also includes the appropriate water lines, oil lines, and fittings to install your Garrett turbochargers. This kit is a complete bolt on unit, however modifications to your factory oil tanks need to be made. Requires a very qualified performance shop. Please contact us for recommendations and service quotes. Vivid Racing has it's own collection of packages and performance products available to our customers. As a globally recognized brand, we try to create unique products to provide our customers with the ultimate in performance vehicle needs. Whether a custom VR T-Shirt or a full power package, our Vivid Racing stamp of approval is what you need to ensure you are getting the best of the best. Got questions, just contact our Performance Specialists for assistance!